If you’re a fan (like us) of The Apprentice on BBC you’re bound to have come across Lord Sugar’s trusted advisor, Claude Littner. For those of you who don’t know, Claude is portrayed as a intimidating figure on the programmes interview stage, and is now prominently featured throughout each episode as Lord Sugar’s aide, following and assessing the candidates every move throughout the show. 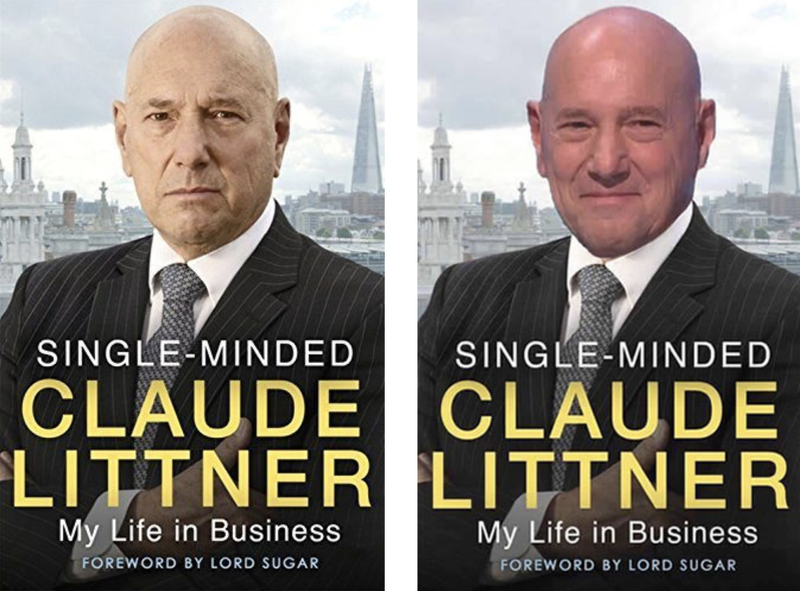 One thing that is often attributed to Claude is his smile, or lack of it, and upon the release of his (excellent) book, ‘Single-Minded: My Life in Business’ we couldn’t help but give his front cover a cheeky re-design.